Liverpool are reportedly considering a transfer move for Lyon winger and former Manchester United flop Memphis Depay if Sadio Mane ends up leaving the club. 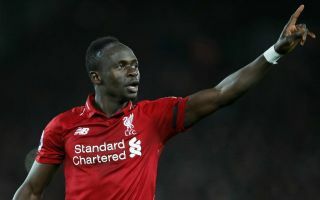 Marca have been among the sources to recently link Mane with Real Madrid, with the Senegal international perhaps unsurprisingly attracting attention after a superb season at Anfield. While Liverpool fans will undoubtedly be hoping they don’t lose their star forward, it seems they have a pretty decent replacement in mind in the form of Depay, according to L’Equipe. The Netherlands international would perhaps be a risky signing given his previous struggles in the Premier League during his time as a Man Utd player, but he’s looked hugely improved in his time in Ligue 1. Depay was also a big prospect at PSV earlier in his career, so it may be that his time at Old Trafford was a bit of an outlier, with the club not exactly in great shape while he was there anyway. The 25-year-old could be a much better fit for this attack-minded and ambitious LFC side, with Jurgen Klopp showing he can get the best out of attacking players in a way that Louis van Gaal and Jose Mourinho couldn’t while they were in charge of Depay at United.